Door Step School, Pune. : One more "School on Wheels" added to the fleet. One more "School on Wheels" added to the fleet. We are glad to announce the addition of one more School on Wheels to our fleet of 4 buses. 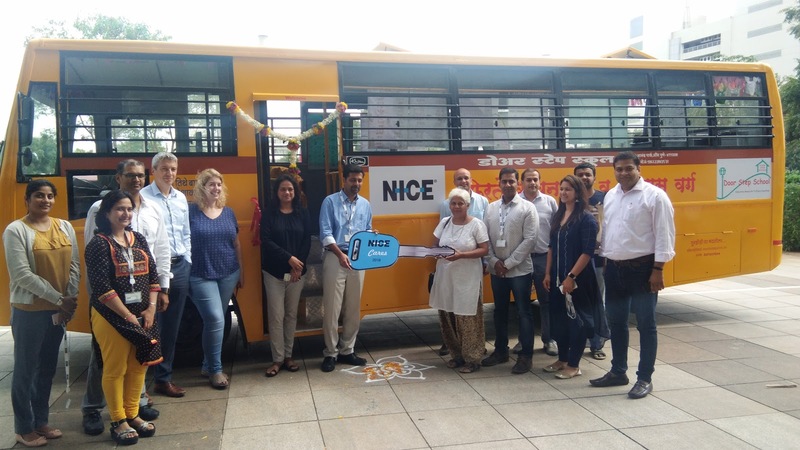 Door Step School, Pune inaugurated its 5th School on Wheels on 19th July 2018.Supported under NICE Interactive Solutions India Private Ltd.'s CSR initiative, this bus will serve as a mobile classroom and a mobile reading room for children living in roadside settlements and construction sites in Pune and PCMC.